Ernie Wilkins was born July 20, 1919 in St. Louis and died June 5, 1999 in Denmark after having suffered a stroke. Ernie Wilkins made a name for himself when, in 1952, came to New York to join the Count Basie Orchestra on recommendation of his childhood friend Clark Terry. Basie and his orchestra were experiencing a down cycle but soon had a terrific revival, when Wilkins started to write for them. Ernie Wilkins made his reputation as a fantastic arranger. He has since been proclaimed one of the 20th Century’s greatest Jazz arrangers, writing for the biggest names in Jazz history: Dizzy Gillespie, Sonny Rollins, Cannonball Adderley, Clark Terry, Oscar Peterson, Sarah Vaughan, Dinah Washington and Joe Williams, to name just a few. Ernie kept evolving as an arranger and composer during the years he resided in Denmark. He was a very active participant throughout the evolution of Jazz from his adolescent years in St. Louis until he had a stroke at almost 72. All of this is reflected in the repertoire he wrote for his beloved Almost Big Band. 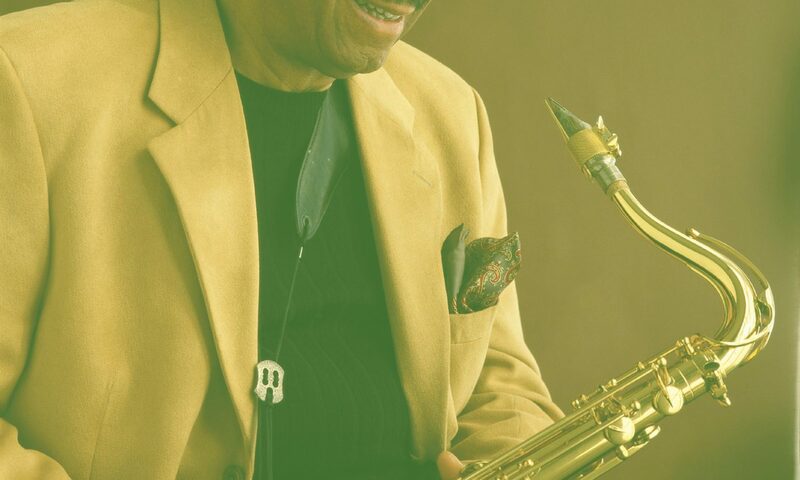 Ernie Wilkins moved to Denmark in 1979 and formed his Almost Big Band in 1980. The Band consisted of twelve members, but sounded like a complete 16-piece big band due to Ernie’s magnificent, compact arrangements. For him, it was a dream come true. He hand-picked every member of his orchestra and made sure they were all first rate musicians. He was impressed by the overwhelming mass of Jazz talent in Copenhagen, amongst them several famous expatriates such as Kenny Drew, Ed Thigpen, Shahib Shihab and Richard Boone. He wanted great soloists as well as good ensemble musicians. He loved his orchestra and enjoyed writing for his musicians: this is evident on every recording made by this unique big band. During the 80’s the Band played throughout Europe and recorded four albums until Wilkins took ill in 1991. After that, the band was inactive until 2000, when they came back together to pay tribute to Ben Webster on the late saxophone giant’s 90th birthday. The orchestra discovered at that time how much they had missed that splendid music, which laid there waiting to be played. The musicians decided to re-launch the Band, and baritone saxophone player Per Goldschmidt was called on to be the new bandleader. He lifts his fellow musicians to give the best of themselves again and again and explains this by saying that Ernie is sitting on a cloud above, keeping an eye on them. Critics have called the band: ”A high-class orchestra”, ”A musical monster”, ”Big enough to shout like a full orchestra yet flexible enough to swing like a combo”. The Ernie Wilkins’ Almost Big Band has since 2000 been quite active. They have performed at Ronnie Scott’s in London, a tour of the United States is underway and they have played several concerts in Denmark, among them with stars such as Clark Terry, Randy Brecker and Jon Faddis on trumpet. It has produced a CD and a half-our television appearance.